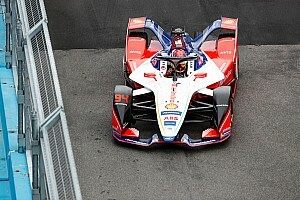 Robin Frijns regrets not attacking race winner Jerome d'Ambrosio on the final lap of ABB FIA Formula E's Marrakesh E-Prix, but says certain points were more valuable to Virgin Racing. 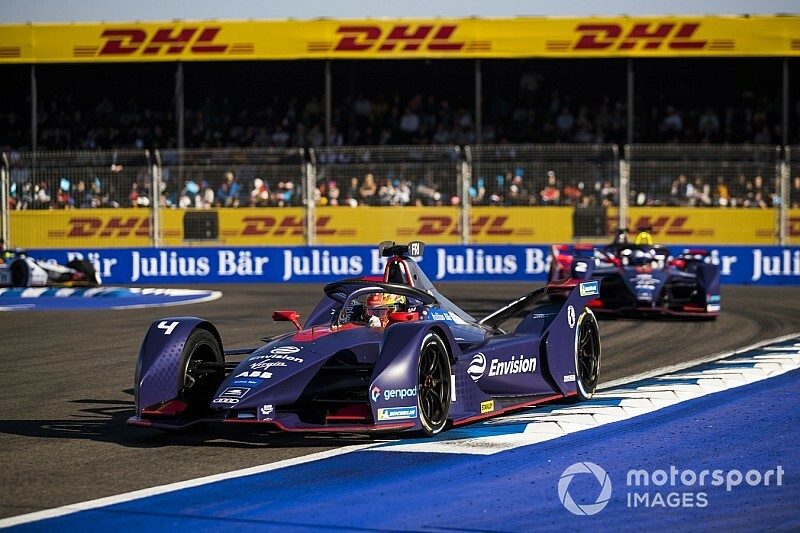 Frijns ran second behind d'Ambrosio at the start of the one-lap shootout that decided last weekend's race in Morocco following the collision between long-time leading BMW teammates Antonio Felix da Costa and Alexander Sims. The Dutch driver closed a 0.909-second gap at the start of the final lap to just 0.143s at the flag, but did not mount a move for the lead. When asked if he regretted not making an attack on d'Ambrosio, Frijns said "Yeah, of course. "I'm a racer, I'm not travelling the world to finish second – I'm a winner," he told Motorsport.com. "I'm regretting it a bit, for sure, but I just did it for the team. It's valuable points for the team – we needed it after Riyadh and the time will come that we will be on the top step." Frijns explained that he had been "preparing for an attack, preparing my car, all the settings to really go for it on the last lap" before ultimately deciding against it. "He was being very cautious," said Frijns, who secured his best FE result with second in Marrakesh ahead of his teammate Sam Bird. "At one point, I was like 'shall I go for it at Turn 10?' and then I was like 'yeah, but we are P2, Sam is P3 and I'm not going to be a bully that drives over Jerome and doesn't finish at all'. "[With] these things, I think it's smart to not do it at the beginning of the season – just to score the points. "See where we are halfway or three-quarters of the way [through] the championship and if the situation is the same, [or] if it's the last race to go and maybe I'm not fighting for the championship anymore, then I will definitely do it." 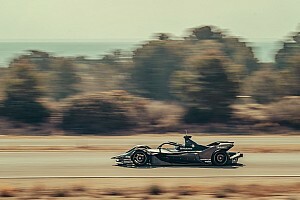 Frijns and Bird secured Virgin's first points of the year with their results in Marrakesh, after the team endured a difficult race at the season opener in Saudi Arabia after they were thrown out of qualifying for exceeding maximum power in qualifying. 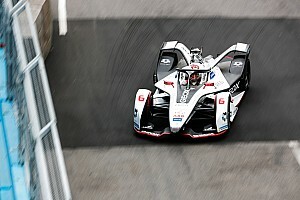 But the double podium vaulted Virgin above the works Audi squad, which is supplies Virgin with powertrains. "Well that I don't regret," Frijns said of finishing ahead of Audi pair Lucas di Grassi and Daniel Abt. "It feels good of course – everybody will say that it's [Audi's] main competitor, which on paper it is [as] we have the same car. "We maybe have the upper hand a bit. It's good, hopefully it won't change."